At the first mention of the words “Gummy Bear”, most of you may automatically think of the sweet candy instead of breast implants. Then again, Gummy Bear breasts implants did get their name from the candy due to their structure, so technically you’re not at all wrong. Gummy Bears are the latest FDA-approved type of breast implants that take on a sort of similar nature to the gummy bear candy. Have you tried cutting up a gummy bear before? Have you noticed how the shape stays intact and doesn’t leak, melt or undergo any further deformation? These types of implants work the same way! Remember that Gummy Bear breast implants are the latest type of implants that most likely addresses the problems of previous types such as saline and silicone gel. In fact, since Gummy Bears are new, they can have more benefits compared to previous breast implants. Most Gummy Bears are shaped like a teardrop instead of something spherical. Although it may look a little weird at first, in reality the shape contributes to a much more natural looking breast augmentation. This is because the teardrop shape imitates the natural slope of the breasts, thus increasing the breast size in a more subtle way compared to implants that are too round. Since Gummy Bears are made out of a cohesive material, they’re much better at retaining their shape than older types of breast implants. Saline implants, for example, have the tendency to develop a “rippled” or folded look over time due to gravity and the original shape of the breast. Capsular contracture is an instance where scar tissue is formed around the breast implants and causes discomfort and makes the breasts look strange and misaligned. It’s an unpredictable complication, but it’s known to be less common with women who got Gummy Bear implants. This may be due to the firmness of the implant, and/or because more precision is needed when implanting Gummy Bears. Just because Gummy Bears are new doesn’t mean they’re uncommon. In reality, nearly all clinics in the United States offer this type of breast implants, some surgeons may even specialize in Gummy Bears! One of the best specialists in Gummy Bear implants you can find is Dr. Chang Soo Kim of Bellava MedAesthetics & Plastic Surgery Center. 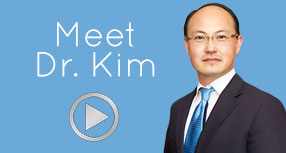 Dr. Kim has over 10 years of experience helping patients boost their confidence by giving them natural-looking enhancements. 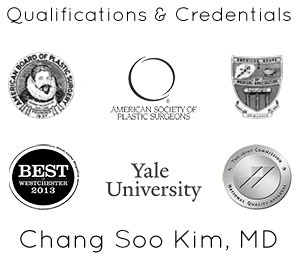 He’s a board certified plastic surgeon who can give you a personalized approach to give you the body of your dreams. So for any woman out there who wants to have implants that look and feel natural, Gummy Bears from Dr. Kim can be a great option that is not hard to find!